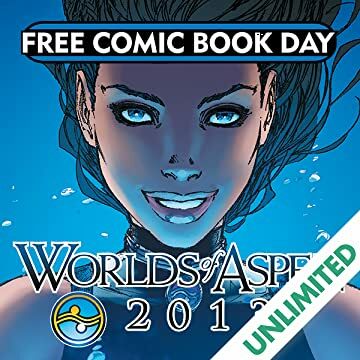 Join Aspen Comics as they reveal exclusive in-depth content for all of their exciting "10 for 10" titles which debut all year long. 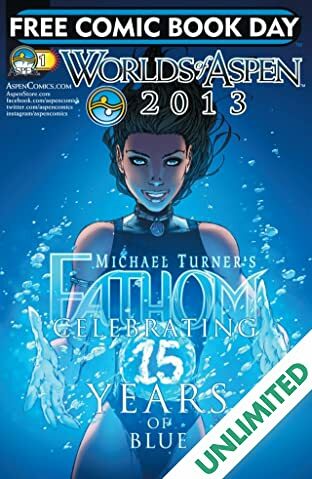 Aspen is also offering TWO completely brand new stories, starting with Michael Turner's Fathom! Kicking off this summer's upcoming thrilling Fathom event, writer Vince Hernandez (Fathom: Kiani),delivers an exclusive 12 page FCBD story featuring the brilliant regular series art team of Alex Konat and Beth Sotelo! And to top it all off, Worlds of Aspen 2013 will showcase a WORLD PREMIERE preview of Peter Steigerwalds' upcoming new Aspen series, ZOO HUNTERS!